The Elizabeth Martinez Lifetime Achievement (LAA) Award Committee is seeking nominations for the 2018 Lifetime Achievement Award. This award was created in 2013 to recognize those who have achieved excellence in librarianship over an extended (over 20 years) period of service and who have made significant and lasting contributions to REFORMA, as well as to the Latino and the Spanish-speaking communities. The Elizabeth Martinez Lifetime Achievement (LAA) Award consists of a $500 stipend funded by TOMO Books and a commemorative plaque. The recipient will be honored at the 2018 REFORMA GALA at the 2018 American Library Association (ALA) annual conference in New Orleans, LA. The deadline for submitting nominations is April 30, 2018. Haydee Hodis, Committee Chair, at haydeehodis@att.net. Throughout her illustrious career, Elizabeth Martinez has been known for her visionary leadership, innovative ideas and advocacy for cultural diversity. Elizabeth in collaboration with Dr. Amulfo Trejo founded and organized REFORMA, The National Association to Promote Library and Information Services to Latinos and the Spanish Speaking, and the Committee to Recruit Mexican American Librarians in California. She co-chaired the first ALA policy on diversity “Equity at Issue” in 1986 and as ALA executive director she developed the Spectrum Scholarship program. Since 1997, ALA has awarded more than 800 Spectrum Scholarships to library school students from diverse backgrounds. Her commitment to communities of color and the poor has inspired generations of librarians of all backgrounds who have benefited from her leadership in the field. Ms. Martinez has been director of the Director of the Los Angeles Public Library and the Orange County Public Library systems. Currently, she is Library Director at the Salinas Public Library. 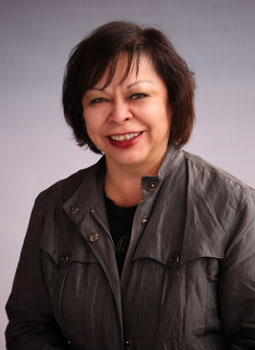 She was instrumental in the implementation of Knowledge River, a national program for the recruitment of Hispanic and Native American librarians at the University of Arizona and has taught thousands of students at the University of Arizona, San Jose State University, Simmons College and UCLA. She has received numerous awards and recognitions, including the ALA Equality Award, the Elizabeth Martinez Doctoral Fellowship at the University of Pittsburgh PA, the Elizabeth Martinez Master's Scholarship, REFORMA LA Chapter, the Pen West Award, the MANA Award and many others. 1. How many and what type of letters of recommendation are needed? No more than three (3) letters may be submitted. They should be no longer than 2 pages each, single-spaced and typed in a 12 point font. The letters should reflect the attributes of the nominee in the most positive light and in accordance with the LAA qualifications. Letters of recommendation should be strategically solicited as only three (3) letters will be accepted. The three (3) letters should come from individuals who can best describe and attest to the nominee's performance in meeting the objectives of this award. 2. Does the nominee need to have worked for a certain number of years as a librarian to be eligible? The LAA is meant to honor the nominee’s body of work in the achievement of excellence in librarianship over an extensive career of service and who has made significant and lasting contributions to REFORMA, as well as to the Latino and the Spanish-speaking community. The nominee’s contributions to REFORMA during a career lasting over 20 years will carry a slightly heavier weight when the final score is tabulated. 3. Does the nominee have to be a REFORMA member? Yes. Nominee and/or awardee must be a member in good standing by the application submission date. Membership status can be verified on the REFORMA homepage. www.reforma.org. 4. What type and level of lifetime achievements are considered worthy of recognition? Types and levels of library service include but are not limited to leadership, administration, educating and mentoring new librarians, outreach, advocacy, technology-based services, collection development, information literacy, publications, or initiating a program or service that benefits the Latino and the Spanish-speaking community. Candidates will also be judged on their contributions to librarianship and REFORMA and/or on behalf of REFORMA, at the chapter, national and/or international level. Up to 3 letters of recommendation not to exceed (2) pages each and typed in 12 point font. Incomplete packets or packets received after the deadline will be disqualified from consideration.